I visited Melaka Butterfly and Reptile Sanctuary in March 2018 and I liked it. Apart from butterflies I saw peacocks, pheasants, partridges, blue crowned pigeons, finches, budgerigars, sun parakeets, jandaya parakeets, a giant iguana, other lizards, giant tortoises, stick insects, scorpions, giant tropical millipedes, exotic frogs and scary crocs, alligators, some emu, koi fish, rabbits, caiman, pythons, rat racers, pit vipers, cobras, mangrove snakes, horned beetles, Madagascar hissing cockroaches (they’re big! ), giant Malaya weevils, long horned beetles, stag beetles, snapping turtles, various fish species and more. Visitors follow paths through nicely landscaped tropical gardens where all the creatures can be found. 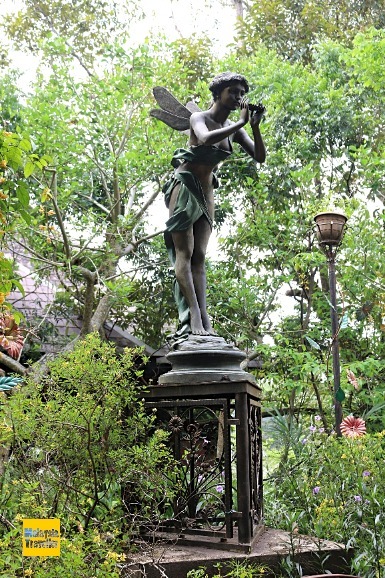 The park was opened in 1991 and it is showing its age in places but overall it seems well maintained and the vegetation is mature and well established. 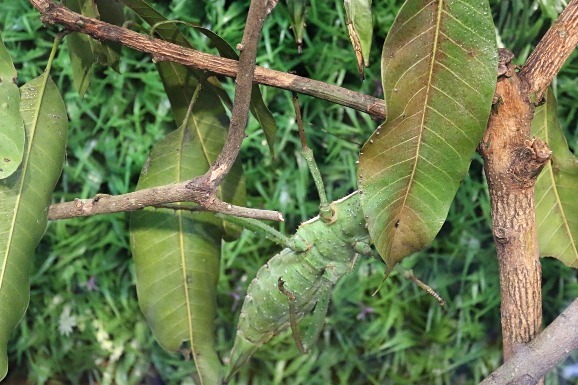 The butterflies are housed in two separate enclosures of lush vegetation so you have to spend some time to spot different species of butterflies. 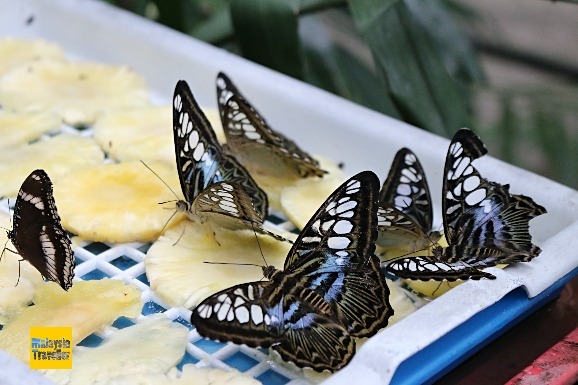 Trays of fresh pineapple had been put out for the butterflies’ breakfast where they tended to congregate, although they were mostly of the same species. This is not the best butterfly park in Malaysia. 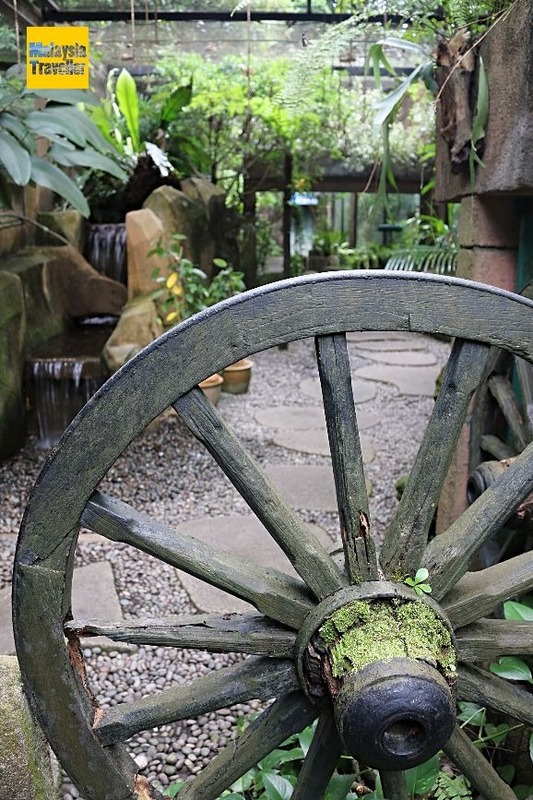 I think the ones in KL and Cameron Highlands for example are probably bigger but Melaka Butterfly Sanctuary has a lot more to offer besides butterflies so this place is better value for money. I nearly stepped on this giant iguana as I was not looking where I was going and had not expected it to be loose on the path. The crocodiles are behind high wire mesh fences meaning that it is difficult to get good views and photos but I suppose it is safer that way. The snakes too were either behind bars or in glass cages, except in the Mangrove snake garden where you can walk inside and be close to a snake if you are brave enough. It is not surprising that snakes are hard to spot in the wild. 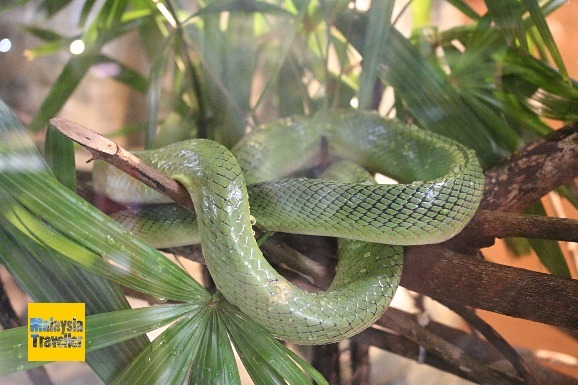 Even here, where we know there are snakes somewhere inside the glass cages, they are often well concealed. There was a large party of school children visiting Melaka Butterfly and Reptile Sanctuary while I was there and they seemed to be enjoying their guided tour. There is a lot of educational information displayed around the park so it is a good venue for school visits. Open daily from 8.30 am to 5.30 pm. Includes 6% GST and 12.5% Entertainment Tax. These taxes are really adding up! Discount rates are available to school groups, company family day events and other group packages. You can check their official website for bookings and enquiries.